International Tax and Wealth Management Specialists – Ready for the 2018 Tax Filing Season? The IRS Is Not. Is Your Accountant? Tax accountants and tax software companies (e.g., TurboTax) have been waiting with bated breath for the IRS and state tax authorities to release guidance on the new tax law. Why? Because the Tax Cuts and Jobs Act of 2017 (TCJA), passed in December 2017, made numerous, significant changes but left the details to be sorted out later. So how much is left to sort out? So what? What does this mean for you? With certain parts of the law settled, accountants have been able to estimate your 2018 taxes based on the new rules and fill in the blanks (i.e., make reasonable assumptions) for the matters still being developed. That said, a few of the outstanding unsettled matters (e.g., the 20% qualified business income deduction) could make a significant difference to many taxpayers’ liability. While not all of the unsettled matters affect all taxpayers, these matters do affect the tax return forms and schedules. Already, the IRS is working diligently to update the tax return forms for the changes that are clearly settled. These updates take time. 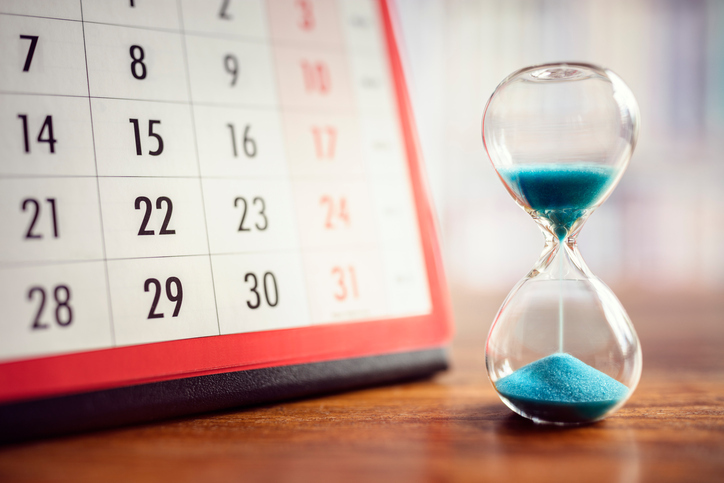 And the longer it takes for the remaining issues to be resolved, the longer it will take for the IRS to release the new versions of all the forms and schedules affected by the TCJA. Also, individual states must decide whether to adopt the federal changes in the state tax calculations or whether to apply their own methods. They, in turn, must then update their tax forms and schedules. Again, this will take time. Whether taxpayers use a free e-file service or mass market provider (for very basic returns), prepare their returns with do-it-yourself software (for basic and moderate returns), or engage a CPA to prepare their filings (for moderate, complex, or special returns with business or foreign elements), some type of tax or e-filing software is involved. Software providers must work quickly to incorporate tax law changes into their programs. Likewise, the IRS on its end, must update all of its systems to accept the new electronic forms and schedules. Changes must be made, tested, trouble-shot and finalized before you can file. Your CPA should be ready. CPAs have been following developments closely (before and after TCJA was passed). They have a good deal of information on what is already settled, how things have changed under TCJA, and what the likely outcomes are for the unsettled matters. Many CPAs have been working closely with clients to prepare 2018 estimates with the best available information and to identify planning opportunities afforded by the TCJA. They are poised to do year-end planning quickly and to adjust estimates as soon as the IRS releases new regulations and further information. In addition, many CPAs have been staying abreast of developments, training their staff, and reworking their tools and questionnaires to solicit from you the new information required for your tax calculations under TCJA. Is your CPA ready? If your CPA firm is The Wolf Group, we can assure you that we have been reviewing, analyzing, and training our staff on the provisions since late last year. You will see some changes in the types of questions and information your CPA requests from you. Under TCJA, some deductions went away. Others were added. Reporting of certain items changed. As a result, the questions and information your CPA solicits from you may be slightly different. If you use a tax organizer or questionnaire, those will have been modified to reflect the TCJA changes, as well. There will likely be a last-minute push for the IRS and software companies to get forms and schedules ready and available for e-filing. Each year, the IRS must update the tax forms and schedules for any tax law changes (usually minor), as well as for changes to thresholds, inflation-indexed amounts, and other standard updates. Most forms are generally ready by the time the filing season opens in late January. For the upcoming 2018 tax season, not only did the TCJA make significant changes to tax law, but it also resulted in additional schedules and significant changes to line items and forms. Even if we ignore the fact that the IRS is still working to clarify and flesh out how certain tax calculations will be done under the TCJA, the IRS has significant work to do to update (or create) the forms and schedules for the areas that are now settled. Then, considering that the IRS expects to release additional guidance steadily over the next few months (and this guidance will further affect the forms and schedules), it is reasonable to believe that many of the new forms and schedules will arrive just before (or after) the start of the filing season. If your returns contain certain forms and schedules, you may need to wait to e-file (or paper file). Although the IRS should have most forms and schedules finalized and ready to go by the time the filing season opens in late January, if your returns contain forms that are not yet final, you will need to wait for the IRS to release the final versions before you can file. Fortunately, most tax returns with draft forms can still be prepared—on paper or electronically—without incident, but the returns themselves cannot be paper-filed or e-filed until the IRS releases the final versions. At this point, it is too early to tell which 2018 forms (if any) will be late. This past filing season (January-April 2018), the affected forms included the Forms 1040NR, 1040-ES, and 5471. For the coming season, many more forms must be created or updated. We will be monitoring the situation closely as we approach year-end to gauge the IRS’s readiness and impact on the filing season. Judgment will be paramount in the preparation of your 2018 returns. In applying tax law, there is rarely a singular calculation (or a magic button to push) that results in the lowest possible correct tax liability. CPAs and tax preparers must almost always make interpretations and exercise judgment. The TCJA made significant changes at a high level, without providing specifics. The IRS is now preparing regulations to provide further guidance, but regulations are first issued in draft form and may remain in draft form for years or even decades. In the meantime, U.S. taxpayers will need to file their 2018 returns based on the (imperfect) guidance and information available. During the 2018 filing season, judgment will be of paramount importance, as the tax law will contain more gray areas than it has since 1986. Tax preparers will need to apply the proposed regulations to facts and circumstances, understand what options and elections to consider, what positions would benefit you the most, and how to best extract and allocate various information to generate an accurate, optimal result.